If you’re planning to buy a decent truck this year but you’re concerned about your budget, then knowing a thing or two about the top 5 used trucks for 2018 should be your first order of business. Finding a used truck to purchase can be a daunting task especially if you have zero ideas on what you are looking for. Apart from setting a budget, you also have to be capable of scrutinizing important details in a truck. Will you be hauling or transporting, and are these going to be heavy materials? Do you drive a lot on highways or unpaved roads? Are you going to use it for family use like perhaps bring your kids to soccer practice? If you’re looking for a powerful compact pickup truck, the 2009-2012 Chevrolet Colorado won’t disappoint. It has good fuel efficiency, spacious and upscale interior, and you can choose from a variety of engines available: a 185-horsepower, 2.9-liter 4-cylinder; a 242-horsepower, 3.7-liter 5-cylinder; and a 300-horsepower, 5.3-liter V-8. The Colorado also boasts of a superior towing power, noted to carry up to approximately 1,741 lbs. of payload and to tow up to 5,500 lbs. of trailer depending on body style and powertrain. According to various users, it also offers a deeper cargo bed compared to its competitors. Despite its wealth of amazing features, the Colorado has one weakness: it’s poor crash test ratings for side-impact protection. If there could be one reason to skip a Chevy Colorado, the safety issue would be it. However, if you’re focused on the best used truck that delivers a world-class powertrain and drivetrain reliability, the 2009-2012 Chevrolet Colorado may still be an excellent bet. You may also go check the new 2016 Chevy Colorado. Its manufacturers have updated the vehicle’s features. As a result, the truck gained a perfect five-star rating in side crash tests, four stars in front crash tests, and three stars in the rollover test by the NHTSA. Of course, that comes with a price: A 2016 Chevy Colorado will cost much more than its ever-so-reliable cheaper version, the 2009-2012 Chevrolet Colorado. The Ford F-150 is one of the bestselling vehicles in America – and it doesn’t surprise us why this is so. This vehicle boasts of numerous powertrain combinations coupled with supercharged engines, comfortable interiors and top-notch safety features that include a 360-degree camera, lane keep assist, parking sensors, blind spot monitoring and forward collision warning in selected models. These features are the reasons why the 2016 Ford F-150 remains one of the best buys even when it’s pre-loved. This vehicle also has extraordinary towing capabilities and precise steering that makes it very easy to maneuver. The Ford F-150 has a towing and hauling capacity of 11,300 lbs. and 3,060 lbs., respectively. You can choose from different trim levels, ranging from the most basic XL work trucks to the enviably extravagant Limited. You also don’t have to worry about safety because based on the National Highway Traffic Safety Administration (NHTSA), 2016 F-150 gets very high safety scores. In fact, it has garnered a perfect five-star overall rating, with 4 stars in only one test: the rollover test. It was also hailed as the 2016 IIHS Top Safety Pick. The 2009-2013 Chevrolet Avalanche has always been known to be one of the world’s most versatile and comfortable pickup trucks. It’s perfect for those who are caught between purchasing an SUV and a truck since it has the look and passenger capacity of an SUV but has features and open-bed practicality of a good old pickup truck. Among the many plus-points features are a full-size crew-cab pickup seating for five or six passengers, a coil-spring rear suspension for a smoother and quieter ride, a “midgate” rear cab wall that can be removed and rear seats that can be folded down to expand the length of the cargo bed, a touchscreen navigation as well as rear-seat DVD entertainment system, and a full suite of safety system that includes front and side airbags, 4-wheel anti-lock disc brakes, stability and traction control, a backup camera, an ultrasonic rear park assist, and a tire-pressure monitoring system. The Avalanche offers a 5.3-liter V-8 engine generating 310-320 horsepower, a 6.0-liter V-8 generating 366 horsepower, a 6-speed automatic transmission, and an optional 4-wheel-drive. It also features a towing capacity of 8100 lbs. on 2WD models, 7900 lbs. on 4WD models, and haul payloads of up to 1300 lbs. The Avalanche can carry a payload of up to 1,231 lbs. and it can tow a vehicle weighing as much as 8,000 lbs. The problem most users share about the Avalanche is that it consumes more fuel than other similar trucks. 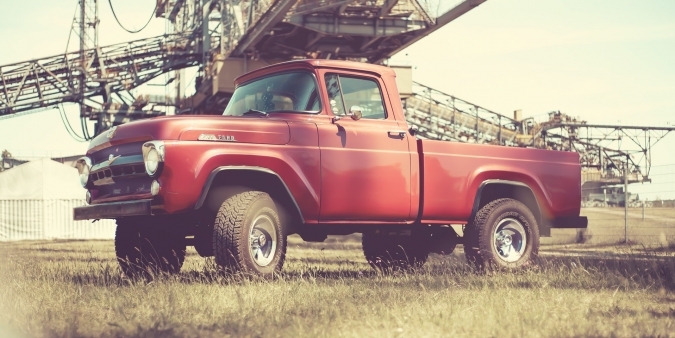 Other than that, its tested durability and performance still makes it one of the best used trucks on the market. Offered in different styles (regular, extended, and crew-cab) with an option between 2- and 4-wheel drive, the 2008-2013 GMC Sierra series is popular for its comfortability for long drives and wealth of safety features including a rearview camera, good traction control, anti-lock brakes, and a tire-pressure monitor. It also has a sunroof, bed liner, power mirrors, and an incredible BOSE sound system. 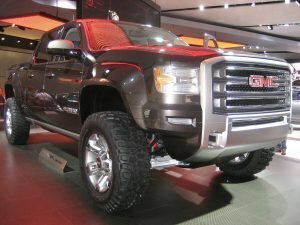 In 2012, the GMC Sierra registered a towing capacity of 10,700 lbs. and payload capacity of about 2,000 lbs. The Sierra offers an engine lineup that spans from a 195-horsepower, 4.3-liter V-6 to a 403-horsepower, 6.2-liter V-8. Also, many Sierras feature an Active Fuel Management system that shuts down half of the engine’s cylinders under low-load driving conditions to conserve fuel. When it comes to price, engine power, transmission, and drivetrain dependability for compact pickup trucks, the 2009 Nissan Frontier is at the top. A used Frontier is priced at $6,011. The truck offers powerful engine choices, impressive off-road ability, comfortable ride and extended or crew-cab styles with a choice of trim levels ranging from basic to upscale. 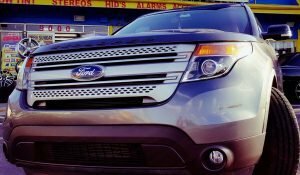 It is rugged in appearance and construction and is available with a standard 2.5-liter 4-cylinder engine with 154 horsepower. However, most Frontiers are equipped with a 261-horsepower, 4.0-liter V-6 engine. In 2014, this highly reliable compact truck was rated to carry up to 1,524 lbs. of cargo and tow a vehicle weighing as much as 6,500 lbs. 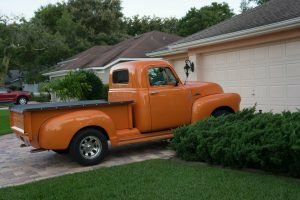 If you happen to be an owner of an old truck or any other vehicle that you want to get rid of, we at Veteran Car Donations can help you with that. If you donate it to us, we’ll easily and quickly take it off your hands at absolutely zero cost to you. At the same time, your truck donation will enable you to make a huge difference in the lives of our nation’s heroes who are facing difficult times. We will auction off your donated vehicle and use the proceeds to support the programs of our nonprofit partners that are fully committed to providing life-transforming assistance to veterans who are grappling with poverty, disabilities, physical and mental health issues, lack of jobs, and homelessness. Thanks to your donation, these veterans will receive mortgage-free and specially adapted housing, physical and mental health care, job opportunities, education scholarships, and other benefits. You’ll also benefit from your own vehicle donation since you’ll receive the highest possible tax deduction based on the selling price of your vehicle after it is sold. Ready to help? Call us at 877-594-5822 today and get started with your vehicle donation!